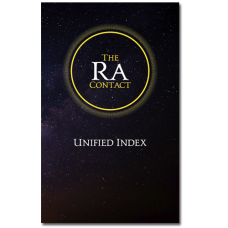 The Ra Contact: Teaching the Law of One Volumes 1 and 2 contain an index split between the two volumes respective to the sessions within each volume. 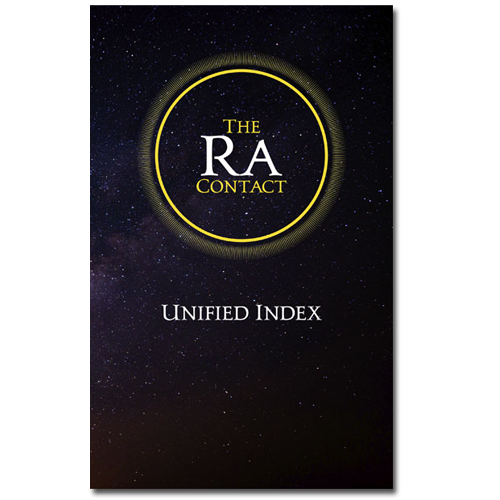 This small booklet contains the entire index, unified for ease of study. It is a companion to Volumes 1 and 2 that contains index material already found in those books but presented here in its entirety. It contains 590 total terms (including primary, secondary, and tertiary), 81 alternative wordings, 114 “see also” associated terms, and 60 “see” references, with over 9,000 total Q&A listings. As with all L/L Research material, this booklet can be downloaded and read for free on the L/L Research Archive Website.